We are sometimes asked by volunteers if they can bring anything along with them to further support the work our field teams are doing, or to make camp life more efficient. The answer is a definite YES! While our camps are already equipped to operate at full steam ahead, it is often access to the shops that actually stock many of the items below that makes it difficult to replenish our supplies. BUT we need to stress that just by volunteering you are making a huge difference and we do not expect you to bring anything but your enthusiasm and hard work. However if you have room for an SD card or a couple of batteries – things that get used every day in the field – it will make a big difference. If you have any of the items listed below lying around at home and are not using them, please bring them along. We’ll be sure to make good use of them. The more we can re-use instead of buying new, the better; it’s part of our sustainability principle. 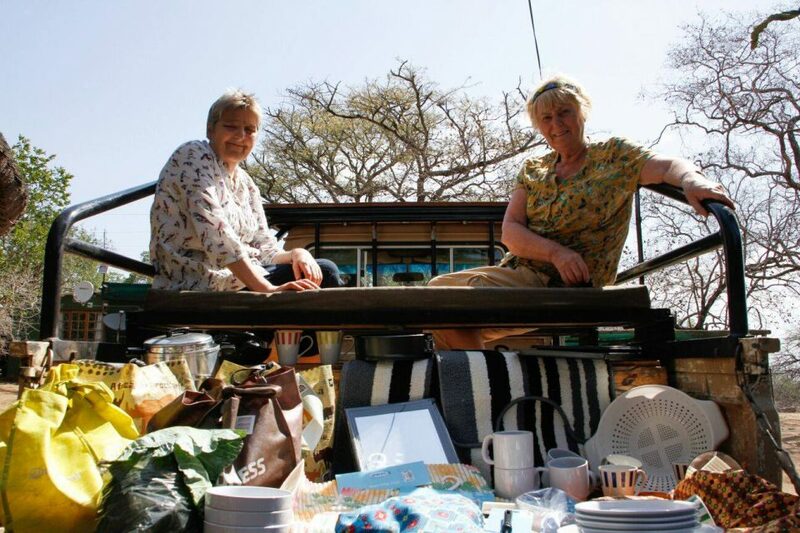 Some of the items listed below are educational supplies needed for our bush camps and community outreach programs, and are usually cheaper overseas compared to where we are. And thank you as always, we honestly feel like we have the best supporters in the world. Image: We have had some very generous volunteers in the past who continue to overwhelm us with donations. Lizzie Hide, Gabi Kirschning, Annette O’Connell and Cath Bamford deserve special mention. Just look at the load they bought last year! Car washing equipment, such as sponges, Chamois, polish, etc. Flasks (hot tea and coffee are vital, when your morning starts at 4am) – to fill 6 mugs! Shower racks for soap, etc. We understand that some of the items listed above are difficult to fit into one’s luggage. As an alternative, donations can be made via GivenGain for those who wish to rather donate funds towards any items listed. Please be sure to specify what you would like your money to be used for! And thank you as always, we honestly feel like we have the best supporters in the world.